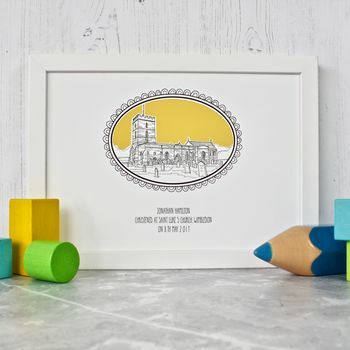 This originally presented hand drawn christening venue portrait is based on a photo supplied by you. It makes a unique and special gift. 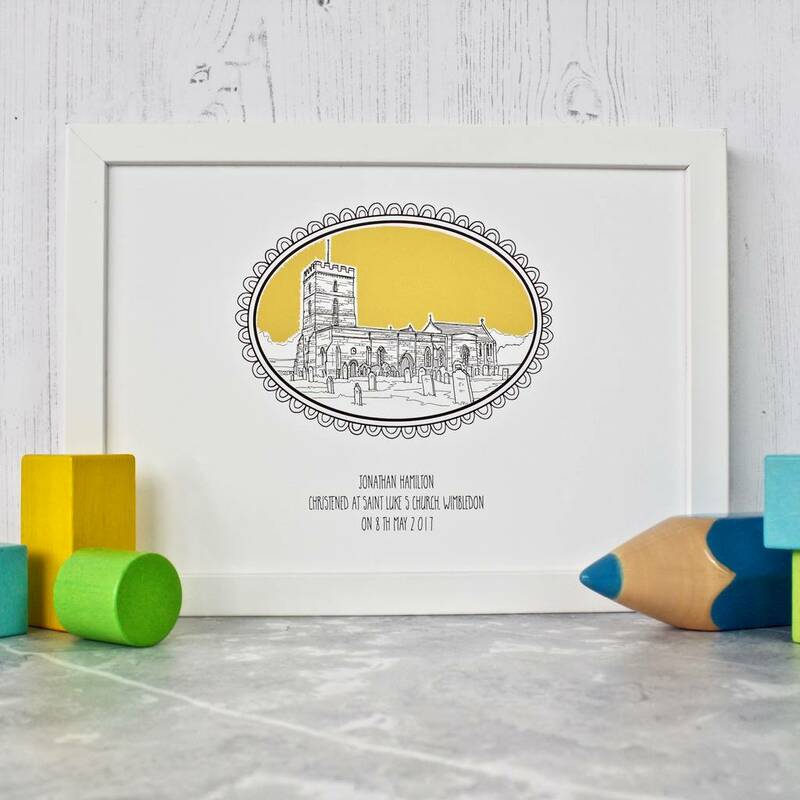 I can create a beautiful illustrative style portrait of the Christening venue in pen and ink with or without a 'colour pop' on beautiful lightly textured archival quality paper. 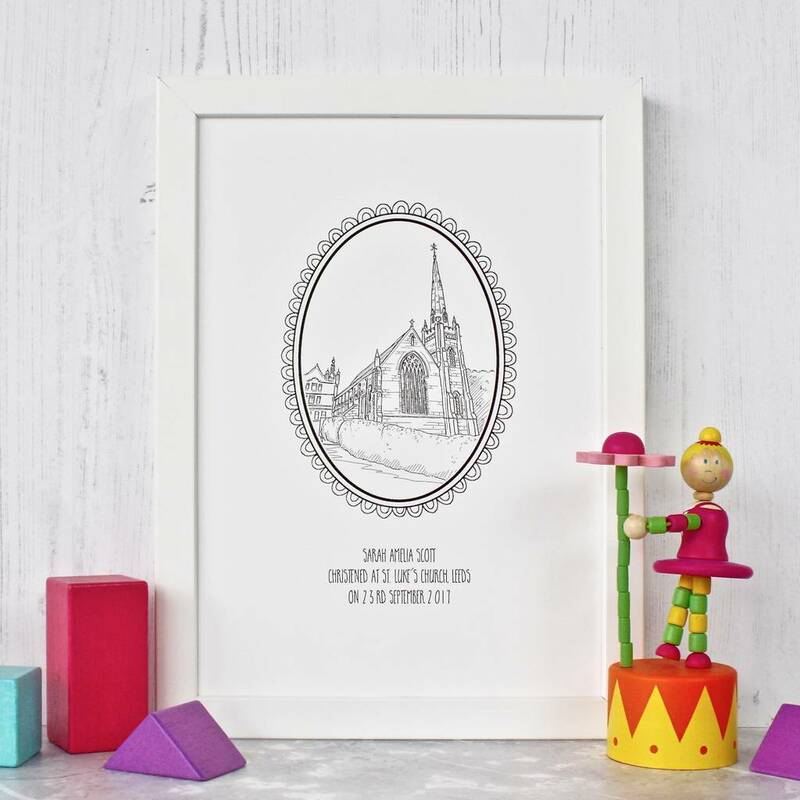 This may also be a suitable gift from godparents, friends or relatives for a naming ceremony or baptism and the text can be personalised accordingly on request. 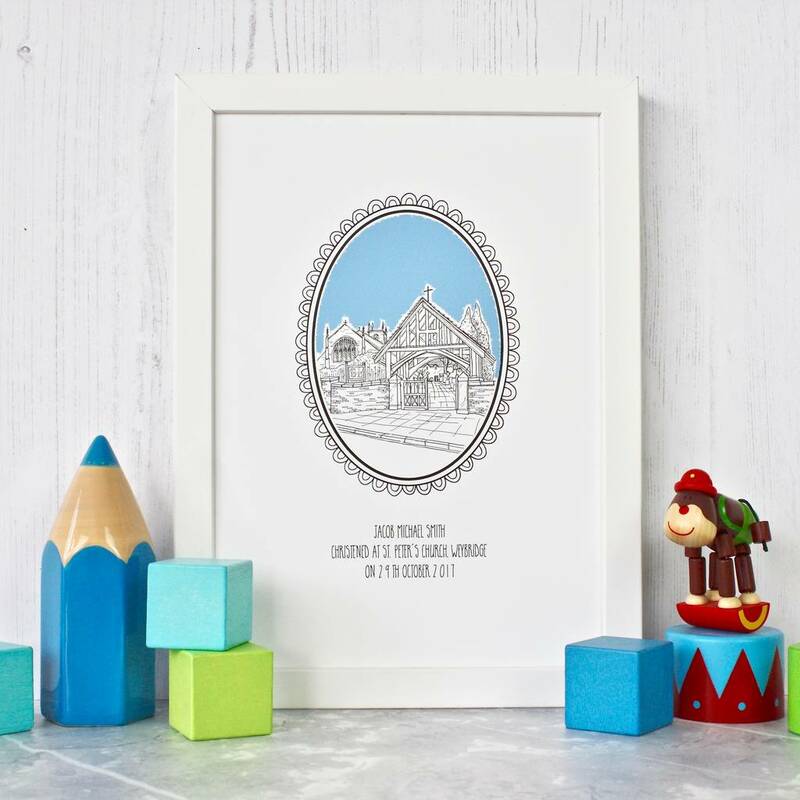 The illustration is presented in a hand drawn cameo style oval border. The drawing can be personalised with the appropriate text using the option menu on the right. 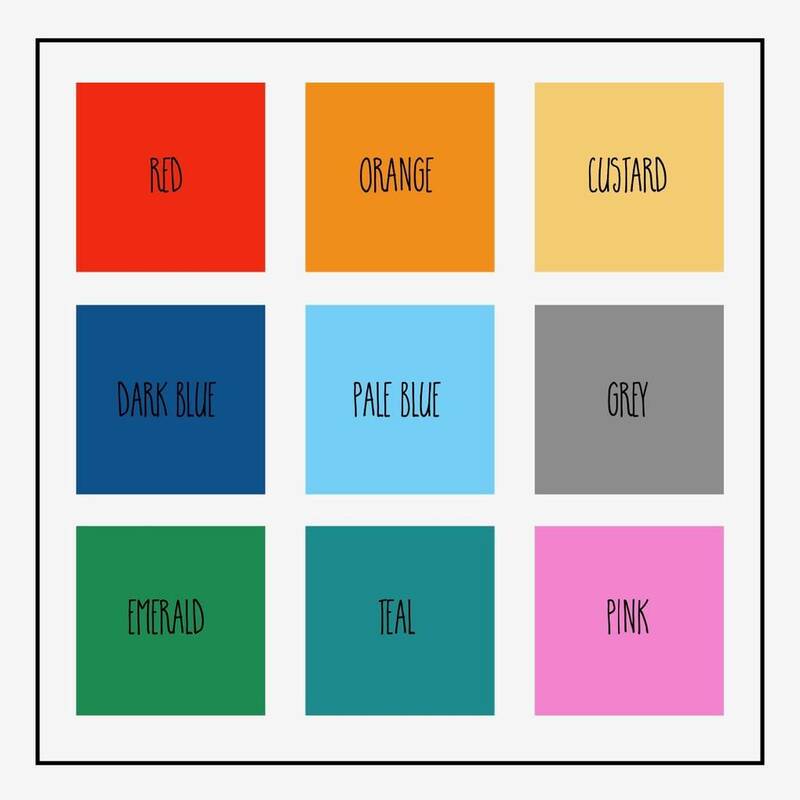 There is also an option to have a coloured background in the sky area of the drawing in a choice of 9 different colours . 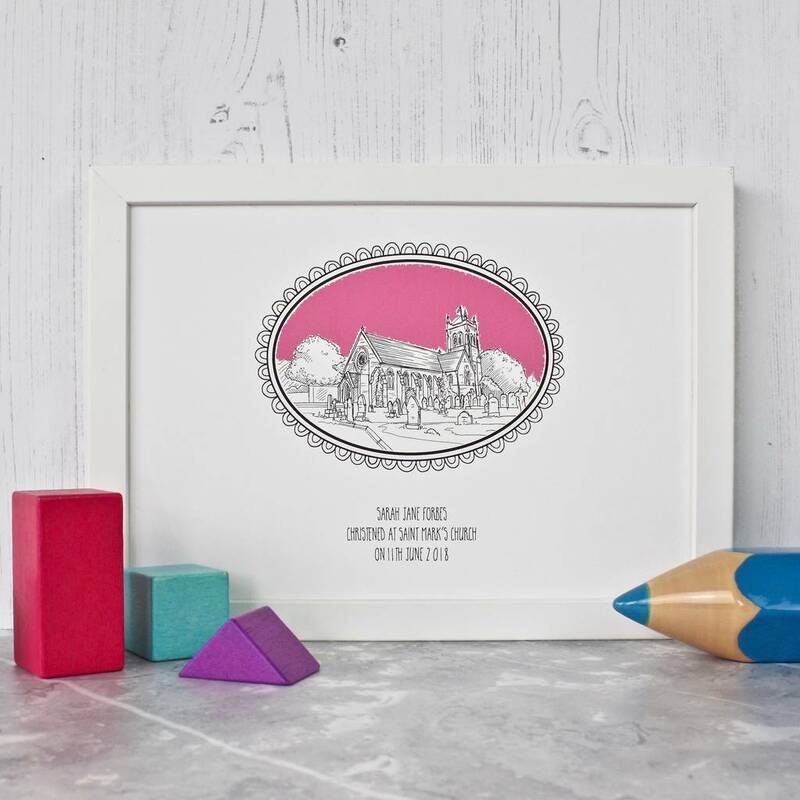 The colour 'pop' is very cool and may help to co-ordinate the illustration with the interior. 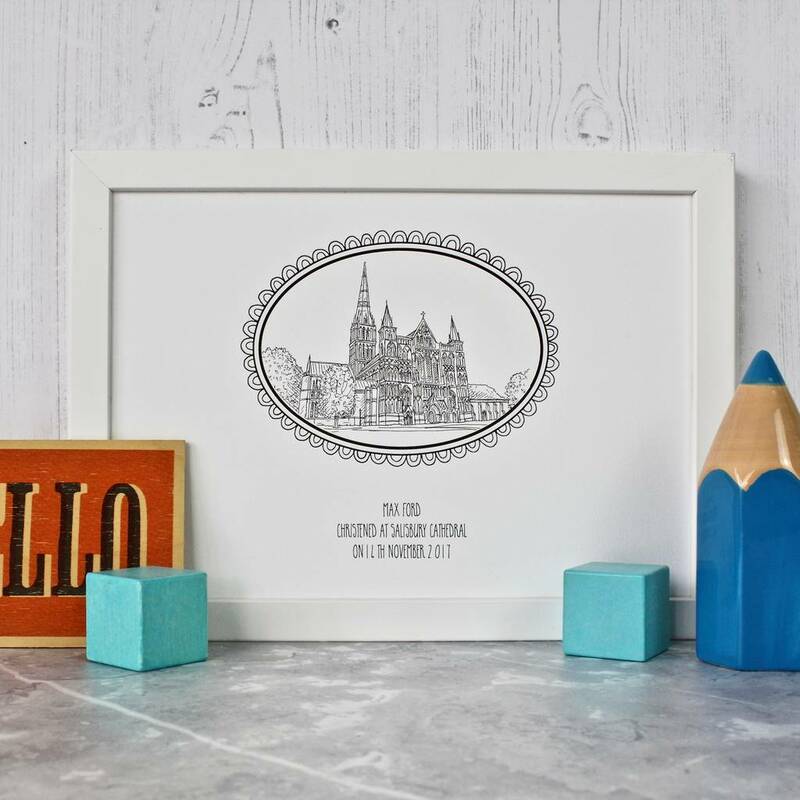 Your commission will be packed with a backing board and logo backing sheet in a plastic sleeve and shipped in a boarded enevelope so that it arrives to you in perfect condition. 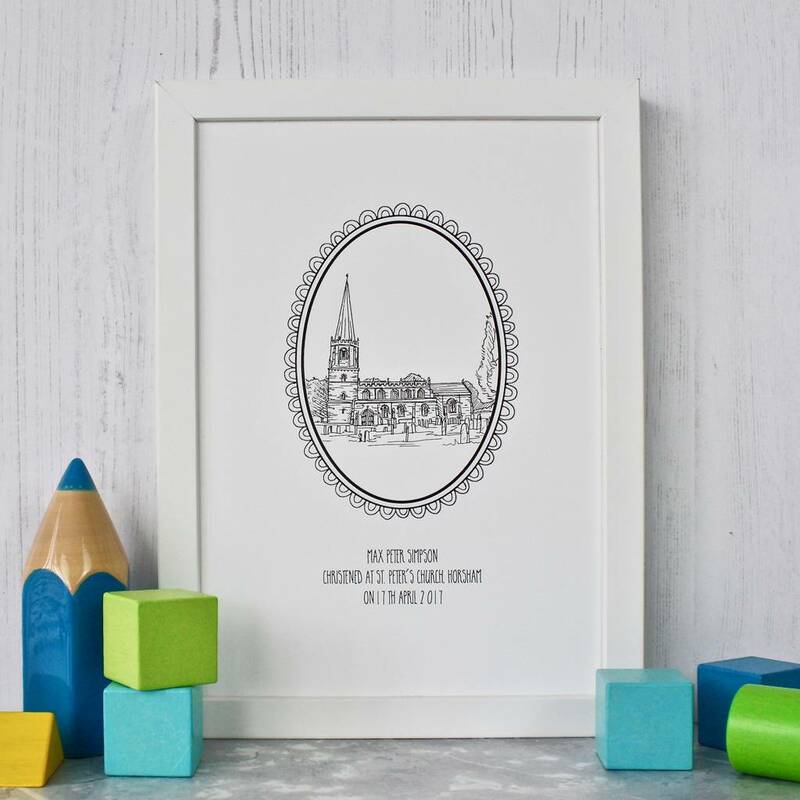 If you wish you can also order extra copies of your illustration to gift to friends or family ( in the same or different colours if you have chosen the colour background on your original order ). For details please see the list of options on the right. 225g/m2 100% acid free, archival, cotton paper and ink.